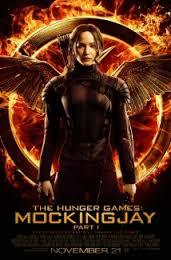 Review: This film finds Katniss Everdeen in District 13 after she shatters the games forever. She is still trying to save Peeta from the Capitol. This is the third of The Hunger Games installment. I would say that this is the weakest of the three films so far. It is sad that this is one of Philip Seymour Hoffman’s last performances as he is such a great actor and brings a powerful presence to the screen. Will be gratefully missed by millions of people. I didn’t find it as tense as the other two films. The character, Gale holds the whole film together and keeps everyone in place. There were some scenes that I felt were too long and others that didn’t really need to be in. Julianne Moore’s children convinced her to take up the role as they have read the books. Mockingjay-Part 2 has already been filmed and will be out next November.